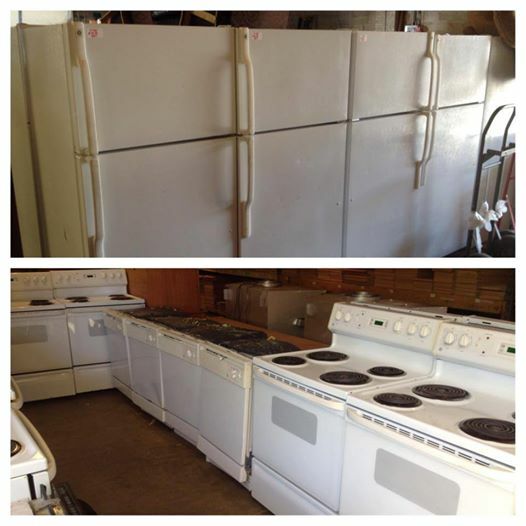 We got in a HUGE appliance shipment over the weekend and as of Monday morning, we still have 14 refrigerators, 13 stoves, and 5 dishwashers from the shipment. All in good condition. Prices vary. As always, Bud’s Warehouse is open to the public. The innovative concept of a home improvement thrift store has become increasingly popular with area homeowners seeking savings on home improvement items while helping others. For more information or to donate tax deductible building materials, call (303) 296-3990. Bud’s is open Monday through Friday from 10 a.m. to 5 p.m and on Saturday from 9 a.m. to 5 p.m.